Easiest way to make her swoon? Gift when she’s not looking. That it must be for a special occasion. To clarify, no: you’re not off the hook for special occasions. But thinking past those, coming out of gifting left field like a giant Publishers Clearing House check? That’s next-level stuff. That your special lady need only refer to your significant other: Is your mother not special? Your sister? Your daughter? You see where we’re going here. 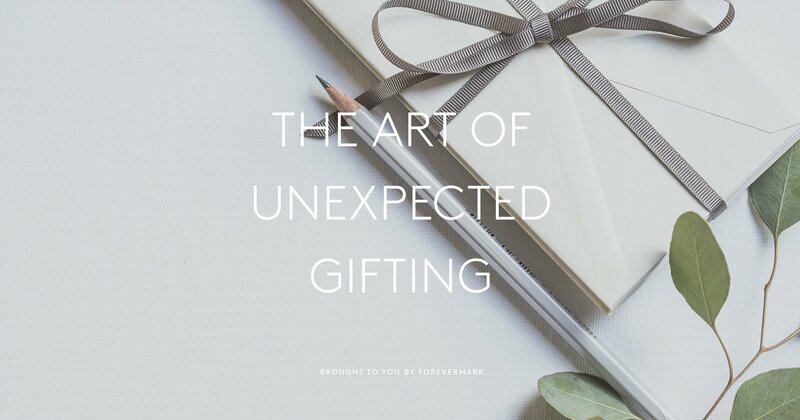 And thus we created The Art of Unexpected Gifting — a handy primer on how to spot an excellent unforeseen gift-bombing opportunity, as well as the right gifts to pair with it. She’s already thankful that it’s over. A gift is pure gravy. While gratifying in their own right, it’s nice when personal endeavors are acknowledged by others. She’s just figured out how to use a piece of contemporary technology. Finally. Arriving at this moment is a testament to her courage/spirit/passion/insert-amazing-quality-here, so it’d be nice if she could be reminded of it down the line from time to time. You can help with that. The kid gets all the gifts, but whose accomplishment is this really? It’s a big deal, you dunce. Everyone always gets housewarming gifts for the home (yes, you should still do this), but rarely do people get one strictly for the inhabitant. This one’s about finding situations that are totally innocuous and then sneaking in to elevate them for her. Want to see that infectious smile of hers you like so much? Engage in some ninja-level gift sneakery and watch it pay massive emotional dividends, trust. Do we really need to tell you? She’s hosting a dinner party. That you’re attending. Everyone brings wine, which is not only boring, but also kinda self-serving. She’s going somewhere with friends (to an event, on vacation, etc.). It shows that you know how important her personal life is. And also she will never, ever see it coming.